How Iron Doors Stay Warm in the Winter - Iron Doors Plus, Inc.
Posted on December 6, 2018 by Iron Doors wrote in News. 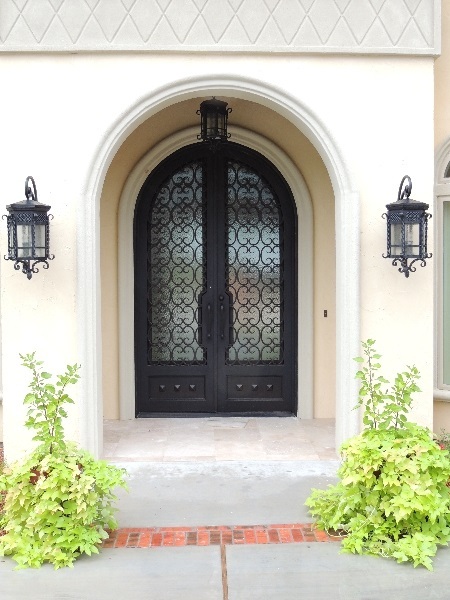 In terms of classic style and timeless beauty, nothing beats an ornate iron door. One that has been handcrafted for your home is a centerpiece and will be the object of awe for everyone that passes it. However, wrought iron is not typically a material that comes up when we think of energy efficiency. Wrought iron is one of those materials that is known for its potential to cause thermal bridging. When heat tries to escape a home, like water, it will take the path of least resistance. For heat, this means going through easily conductive materials. Wrought iron is one such material. It can release heat outside easily. So it alone makes a poor choice of door material. However, when you choose a wrought iron door, you are getting so much more than what you see. In order to prevent thermal bridging and keep wrought iron doors warm and energy efficient all year long, they are made with what is known as a thermal break. Think of it in simple terms. If you are cold, you put on a sweatshirt. The air trapped in that pocket between t-shirt and sweatshirt is heated by your body heat trying to escape. It keeps you warm. A thermal break in an iron door works the same way. 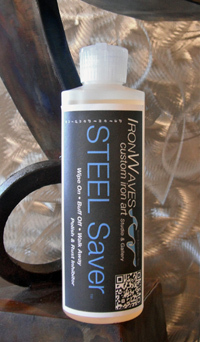 The iron door is created with a pocket full of an insulator to keep the heat of your home inside your home. If you know your thermodynamics and are concerned about getting a wrought iron door due to its potential for thermal bridging, there is no reason to worry. If wrought iron doors were so energy inefficient, even their beautiful look wouldn’t save them. If you want to learn more about the thermal break system and installation of wrought iron doors, contact us today to see how we can help you.